It is spring of 2004 and the taxi will only take us so far. Unceremoniously we are dropped off in the middle of a small dirt road. I breathe in deep and am overwhelmed. Decay. We pause briefly to adjust to our surroundings (Be with us, Jesus). Walking up the long steep road brings onlookers. Children follow me begging for anything I will give them. Dusty small hands fill my own and I wish my hand could enlarge to hold even more. Little boys hang off of my husband’s strong arms, seeing how long he will give them a ride up the path. At some point along the trip, I realize that my feet have blended into the dirt and I can’t tell where it ends and I begin. 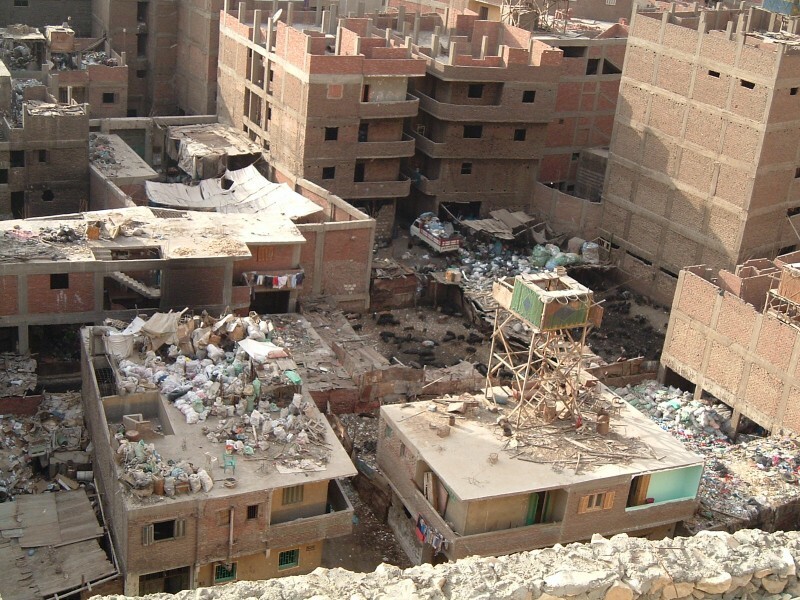 My eyes well with tears as I think of the children who live in this muck created from the garbage of an entire city, dropped in their front yard (Be with them, Jesus). I never get used to the smell, but the smiles on the children’s faces push it to the back of my mind. I fight back my tears; matching their smiles seems the least I can do. There are adults peering at us from inside doorways as they continue with their work. We are surrounded by eyes and even though we’ve been travelling for weeks now, and I’m used to stares, this is different. Here, my brothers and sisters in Christ are sitting in a pile of garbage, in their home sorting it because that is their job. 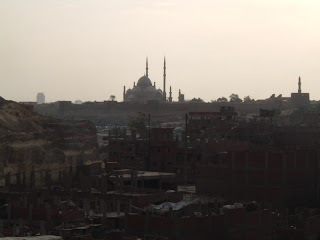 This is the Cairo that I thought I was prepared for. This is their Garbage City. We reach the top of that never ending hill and in front of us is the most breathtaking church I have ever seen. 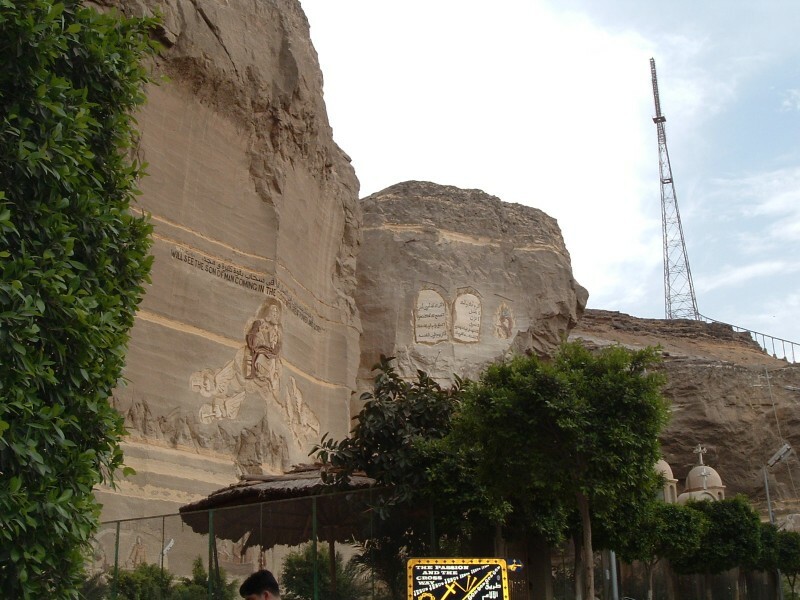 Carved (they say by the Hand of God) into the mountain itself is the largest church in the Middle East. Here, surrounded by so much garbage that the police don’t even bother coming, they have some protection, free to worship. Here in Cairo, where the Apostle Mark first came with the Gospel. 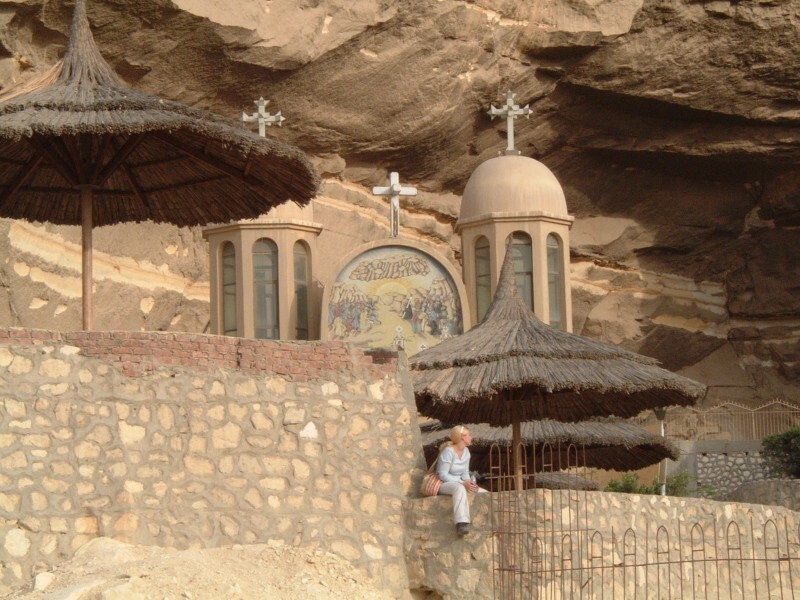 Here, where there is still a group of Coptic Christians who fight not only for their religious freedom, but stand up for the freedom of all. Here, for the first time in 30 years, I ponder the difference between going to church and being the church. Someone comes by to show us around, so proud of their house of worship and I am immediately humbled. They tell us how the lame walk, the deaf hear, and even the dead have risen. And I believe it. I know it. I can feel God here. How can’t you? This isn’t the presence I’ve grown accustomed to during times of worship in my church auditorium with the band playing and the power point projecting. It is being able to see how God abides with them, with us. He is the one smiling at me through children and holding my hands. I’m touching the Divine. On the way back down I hold the hands of little girls, and I am certain, I can feel the holes in Christ’s hands. I'm sure you have much to share about your experiences there. Looking forward to reading more. There's something special about a blog, an opportunity to write & publish without anyone saying otherwise. I am enjoying reading yours. It's easy to connect with your writing (with you). Thanks for opening up this way! Thanks, Tracie, for making it easy to at least attempt to open up!